When a worker is injured on the job, the natural result of such an injury is a worker’s compensation claim. Whether or not it was an accident, a result of negligence or some other factor, it’s important for the legal courts to review the information in order to decide who was at at fault and how much, if any, of the medical costs should be covered by the employer. Of course, the court can’t make this decision without proper evidence that shows who or what contributed to the injury at hand. And the only way the court can make this sort of decision is with the use of a medical summary. What is a Medical Summary? A medical summary is a compilation of all of the documents and information that relates to a specific case or claim. When someone is injured, the subsequent medical treatment creates a rather involved paper trail. This paper trail includes things like test results, x-rays, lab work, doctor’s notes and other pieces of documentation. This information all goes together to create a thorough and complete medical summary. A well-written medical summary can often be the difference between a win or a loss in a workers compensation claim, because often the court’s decision is based in part on the information found in the summary. For this reason, it’s important to have a medical summary that is as complete and accurate as possible. How Can A Medical Summary Help or Hurt a Case? When an employee suffers an injury, there are a lot of possible ramifications that can affect both the employer as well as the employee. Determining who was at fault is only one small part of it, although that is important in determining how much liability the employee has. If the company is indeed liable, then a medical summary becomes crucial in dealing with things like loss of pay and treatment. For example, If a worker can not return to work for a while he or she will be expecting for workers compensation to pay for the wages being lost while he or she is out and unable to work. You can bet the company’s insurance company is going to review the workers compensation claim very carefully to make sure that they are indeed required to cover the worker’s loss of income and inability to work while recovering. If medical documentation is not there to prove the extent of the injuries and the long-term prognosis, the insurance company will have a strong case to deny the claim. As another example, consider treatment: if the injured worker has to undergo costly medical procedures, the company’s medical insurance company is going to expect there to be medical documentation that supports the necessity of these treatments. Of course, medical summaries can also be used against the worker as well — for instance, if a treatment or medication was prescribed, and the worker has not followed through and done the required exercises or taken the prescribed medication, then the insurance company can argue that they are longer liable to cover the medical costs for someone who is not doing their part to speed up recovery. In short, a medical summary is a necessary element of any successful workers compensation claim, but like a double-edged sword they can cut both ways. They can work either for or against the worker, which is why it’s important for them to be thorough and accurate, and it’s important for the worker to listen to and follow any and all medical advice. If you would like to know more about medical summaries and how they can affect a workers compensation claim, please don’t hesitate to contact us today. This entry was posted in Uncategorized, Workers Compensation on February 8, 2018 by lmsummaryservices. If you are going through the process of filing a disability claim, then you know already that the outcome of your claim is far from certain. Even when you are convinced beyond a shadow of a doubt that you meet all the necessary criteria to be declared disabled, there’s more than an even chance that the Social Security Administration might not see it that way. That’s because the SSA has a very strict set of guidelines that it follows when it comes to determining who qualifies as disabled. The SSA Blue Book contains a set of conditions, illnesses or injuries that need to be met in order to gain SSDI benefits. But what if your physical condition doesn’t match up with one of the listings in the Blue Book? In this case, it might be tempting to just give up on the claim. However, there is a procedure in place that takes this into account, and that procedure is the Functional Capacity Evaluation (FCE). Just like it sounds, and FCE is an evaluation, or test, designed to measure a patient’s overall ability. It’s actually more like a series of tests, because the FCE will be used by a physician to try and get a comprehensive overview of what you can and can’t do in a variety of situations. These tests will measure your mobility, strength, coordination, ability to grasp and lift objects, flexibility and other physical abilities as well. Why is the FCE Important? The FCE is important to your disability claim because physicians will base a large part of their diagnoses of your condition on the results of the evaluation. If your FCE determines that you lack the ability to endure physical exertion of any sort, the medical examiner will make a note of it. This information is passed on to the SSDI disability examiner, who will make a decision based on, in part, the recommendation of the physician who administered the FCE. Even more, the physician will also use the results of the FCE to make an educated guess as to your future ability. Because SSDI claims are granted based on long-term prognoses, this is also a very important element to your overall disability claim. In short, the Functional Capacity Evaluation is a necessary step on your way to being awarded SSDI benefits. Even if you don’t fit the description of a listing in the Blue Book, the FCE can still make the SSA aware of your disability and limitations, and SSDI benefits can still be granted. If you would like to know more about FCEs or other SSDI-related information, please don’t hesitate to contact us today! This entry was posted in Uncategorized on September 27, 2017 by lmsummaryservices. Brief writing services can reap multiple law firm benefits. Here are just a few ways we can help. Lawyers never have enough time to get everything done that needs to be done in any given day. Your clients are your first priority, so leave the briefs to us. Hiring a brief writing service for law firms is a great investment, saving you time and money. Let’s face it—briefs are a more mundane part of your business. We provide a document review and editing service to ensure the accuracy of every legal document your firm produces. 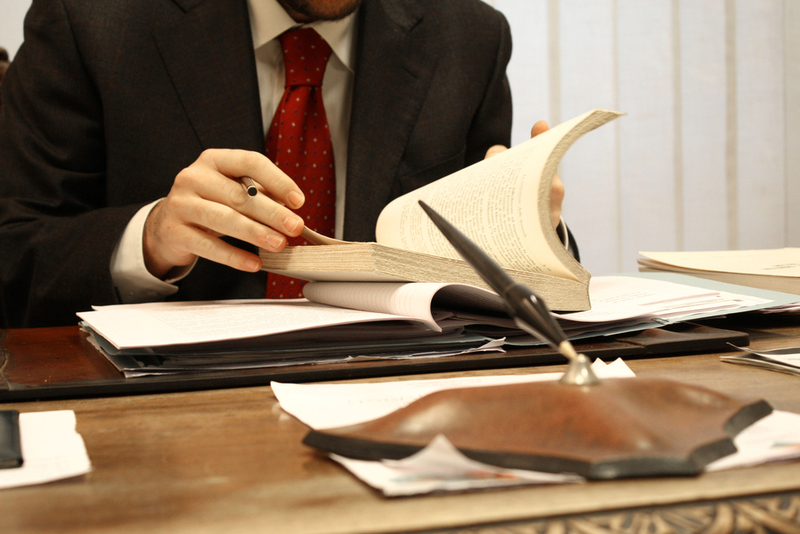 An individual attorney definitely does not have the time to review every document, so let our team remove that burden from you. With all writing, it’s great to have a second review—a second set of eyes. It is particularly important for legal documents to ensure accuracy and correct tone. We can provide editing services even if we didn’t provide the original writing, so this frees up loads of time for busy lawyers. In addition to trial prep, research is another huge time investment. The amount of research that goes into writing a legal brief can be mind-boggling. Each fact about the case requires meticulous research, but it is a necessity because research is the foundation of every legal case. Leave the research to us so you can focus on your other responsibilities. Our team of professionals has access to extensive subject matter databases that we use to provide discovery services to you. We not only provide comprehensive, thorough discovery, but we can also assist you by writing objections to discovery requests, as well as responses. Preparing for a trial takes a voluminous amount of time—we know it and you certainly know it. Our team of highlight skilled and knowledgeable professionals understands the law and can help ease the burden by writing your briefs. We provide not only briefs, but motions of limine, witness and exhibit lists, jury instructions, deposition summaries, and memoranda of law. By delegating your work to our appellate brief writers, we can prepare a summary for you that helps you focus on your client while at the same time speeding up your response to the appeal. These are just a few of the brief writing services for law firms that we provide. We are sure that you see the benefit, so call us today! This entry was posted in Brief Writing Services, Uncategorized on July 3, 2017 by lmsummaryservices. What Records Do I Need for a Personal Injury in North Carolina? After your injury, you were treated at a hospital or emergency clinic. The records for that treatment are going to be a central part of your case, so you’re going to need to make sure to get copies of everything you can get your hands on. These records are important to not only show what procedures were done, but they will also be a big part in proving why those procedures were necessary–as in, because of the other person’s actions you are using to build your case. In addition to records of your treatments, you’re going to need to keep a record of all medications you have taken, their costs, their effects, and (in some cases, most importantly) their side effects. Like above, these records will go a long way towards proving the effects of the other party’s actions, and will also paint a picture of how much you have had to deal with since the events in question. Since the original accident or injury, you have most likely been having regular office visits to a medical professional. Those records will help to show the long-term effects of your injuries, and will continue to build a case that deals with your expenses, as well as continued pain and suffering. If your injury has caused you to suffer physical or mental problems that require you to visit a physical therapist, psychologist, or psychiatrist, those records are also necessary to help build your case. Basically, if you visited some sort of medical professional, or had to undergo some form of treatment, you need to document it. But there’s another reason as well: in addition to help building your case and proving injuries, these records will also help prove something else. In many cases, damages are also sought for “pain and suffering.” The problem is, it’s very hard to actually measure such a concept. Having your records available can go a long way towards showing how much you have had to deal with, and can help put a bottom line on your pain and suffering. This entry was posted in Uncategorized on January 31, 2017 by lmsummaryservices. As a lawyer, you’re the person that your client relies on in helping them with their personal injury claims. That’s a lot of pressure that you’re under when you consider your entire caseload as you want to give all of your clients top notch service as they all have worthy claims. This is where your time management can come into play. It’s very important to obtain medical records quickly in personal injury claims. Thanks to your experience with previous personal injury cases, you’re already aware that it can be very time-consuming and costly for you to go through the process of obtaining these medical records in a timely fashion for your cases. Add up all the time that you’re spending on just one case and then multiply that by all of your cases. Do the same for your expenses. Don’t forget to factor in the cost of your time when thinking of your expenses in getting and going through the medical records for your clients. Even if you have one of your staff members do it, consider their salary and the amount of time they take in doing it to get to your final figure on cost. You may realize that you’re throwing away more money and time on this than you realized, and something needs to change. The change that you need to make is starting to use a medical summary service. This service will revolutionize the way that you handle your personal injury cases. No longer will you or your staff be responsible for trying to quickly get the medical records for all of your personal injury clients. You’ll be able to focus on your other important tasks and allow a professional service do what they do best. These services can give you the extra time you need to be able to start expediting your client’s claim as their life is often on hold while they wait for the claim to be settled. This improvement in your service will not go unnoticed by clients and will help to attract more clients to your legal office. LM Summary Service is ready to change the way that your law office functions for the better. You’re in business to assist your client’s with their personal injury claims as effectively and efficiently as you can, but you may be doing them and yourself a disservice if you’re not doing everything that you can to make that happen. Become more effective and efficient by contacting us today to see how we can revolutionize your process. This entry was posted in Uncategorized on January 16, 2017 by lmsummaryservices. When applying for Social Security disability claims, it’s imperative to have the correct documents with the proper dates. You should keep any medical records you may have received from your doctor regarding an injury. From the first time you went to the hospital, to the most updated form, you should include every piece of document you receive. This will expedite the process when filing for a disability claim, and prevent any confusion when you file your claim. It is necessary to keep every document when you’re filing. When you receive a date for your hearing, having a concise, comprehensive, and accurate medical summary allows you to make a legitimate argument. You can try and do the documentation yourself, but that can lead to trouble if you misplace a document. There are companies that will file all your documents into the proper order, and they provide quality work for their services. Any medical summary you need can be put together through one of these companies to ensure you have all the proper documents for your case. The best way to use these companies is to file a contact form through their website. You can provide all the details regarding your disability claim, and ensure the proper documents are in order. It’s easy enough to do, that it won’t take up too much time, and it will save you from a lot of trouble when you go to your hearing. If you’re not sure about what documents you may need, these companies can inform you on what you will need. Their experience and knowledge regarding social security benefits allow you to make a compelling argument when you go in for your hearing. No matter what type of disability you’re trying to claim through Social Security, it’s important you have every piece of medical documentation regarding the injury. It can be difficult trying to put everything in chronological order by yourself, but there are companies out there willing to help. It’s better to be prepared with the right documents in the right place when you’re going in for a hearing regarding a disability claim. While it may feel like you don’t know what’s going on or what to expect, getting all your documents in the proper order will lead to a successful hearing. This entry was posted in Uncategorized on January 5, 2017 by lmsummaryservices. Receiving notice that your workers’ compensation claim has been delayed or denied can be one of the most disappointing and disheartening moments in an already difficult time. If you are going through the process, you have more than likely been through more trouble than you had imagined it would take, and now it may seem like it has all been for nothing. However, it is important to realize that a denial letter is not the end of the road, and there are still steps you can take to help your claim be approved. Most people do not fully understand the workers’ compensation application process, because it is something they never imagine they will have to go through. To the average person, the idea of workers’ compensation seems like an obscure safety net that you will never actually need. However, if you are injured on the job, the idea becomes an all too real necessity, and you may feel like you need a crash course. Unfortunately, the insurance companies and claims workers find faults and flaws in applications for a living, and it is their job to find a basis for denial. Although there is a nearly unlimited number of reasons why claims can be reasonalbly denied, there are some specific ones that claims workers watch for and cause most applicants to be delayed or denied. The most common of these is that the claim was not filed on time. Legally, claims must be reported immediately, even in a matter of days in many cases. Both the employee and employer must report the claim just as quickly for it to be approved. The second most common basis for denial comes from disputes by the employer. For whatever reason, the company may dispute that your injury is legitimate or that it actually occurred at the workplace. This would force the applicant to gather further information and evidence, beyond the usual requirements. These are just the two most common reasons claims are denied, and there are hundreds of others including clerical errors, unverified information, severity of the condition and many more. If you have already been denied, the denial letter should list the basis for it. A qualified compensation attorney can help you with the initial filing or even after you have been denied. They specialize in the ins and outs of this process and are fully equipped to guide you through the process. An attorney will be aware of the “red flags” claims workers look for and help you clear these from your appeal. He or she will know what needs to be done and do the work for you so you can focus on getting healthy. This entry was posted in Uncategorized on December 29, 2016 by lmsummaryservices. In many court cases, a thorough medical summary is crucial to understanding the events of a situation. A well-written medical summary can help cut through the confusion to show exactly what happened, when, and who was responsible at the time. Often, the correct and fair resolution of a case depends on these documents, which need to be well-researched, clearly written, and as factually accurate and thorough as possible. And yet, when a paralegal or attorney is handling a case, they often request medical summaries that end up being too broad and incomplete to be of any real use. This can lead to a lot of problems down the line. 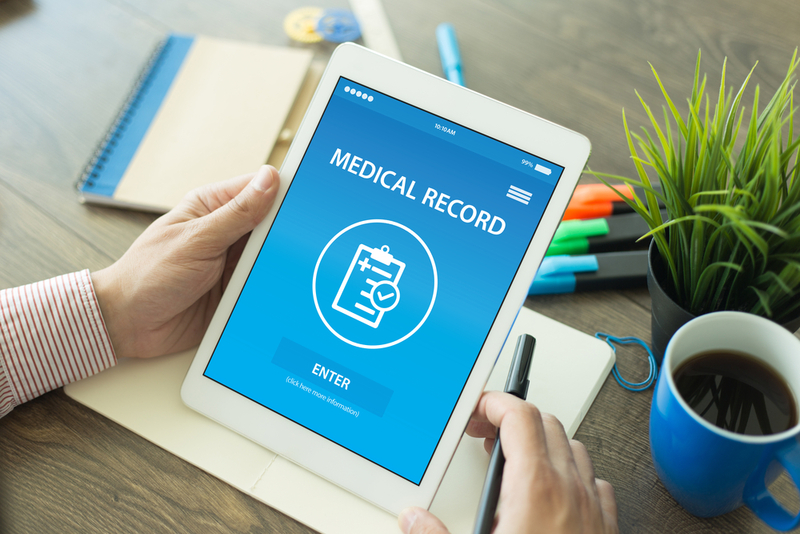 The biggest concern when it comes to overly broad medical summaries is the amount of time it then takes to go back and get the right information. A summary that is too broad is really of little to no use in a practical sense, because it is often the smallest details that end up being the most needed in a case. This means that someone now needs to go through, interview people, consult records, and spend a lot of extra time compiling information that could have been written up correctly to begin with, if they had used the proper services. In addition to time, this research also can cost a firm in terms of its bottom line, as it takes a long time for its staff to do a good, thorough job. While being paid for that work, the staff is also unable to accomplish other much needed tasks, leading to a backlog of cases, longer working hours, or a need to hire more personnel. However this problem is handled, it means more money in the long run. Finally, the time it takes to write up this thorough medical summary means the case takes longer to resolve. This is not a good situation for any party involved, as everyone is looking for a swift resolution to this case so they can have a settlement and then move on with their lives. Having to wait for a more thorough medical summary simply adds insult to injury, especially when it could have been done right the first time. For all of these reasons and more, it is important to make sure that your medical summary is being researched and handled by the best. That’s why, if you need a medical summary, you should contact LM Summary Services. Our knowledgeable experts can help speed up this process and get all for the documents and information you need to help resolve your case swiftly and correctly. This entry was posted in Uncategorized on December 20, 2016 by lmsummaryservices.